There is a great set of outdoor learning opportunities coming up at Heather Farms called Discovering a Sense of Place. 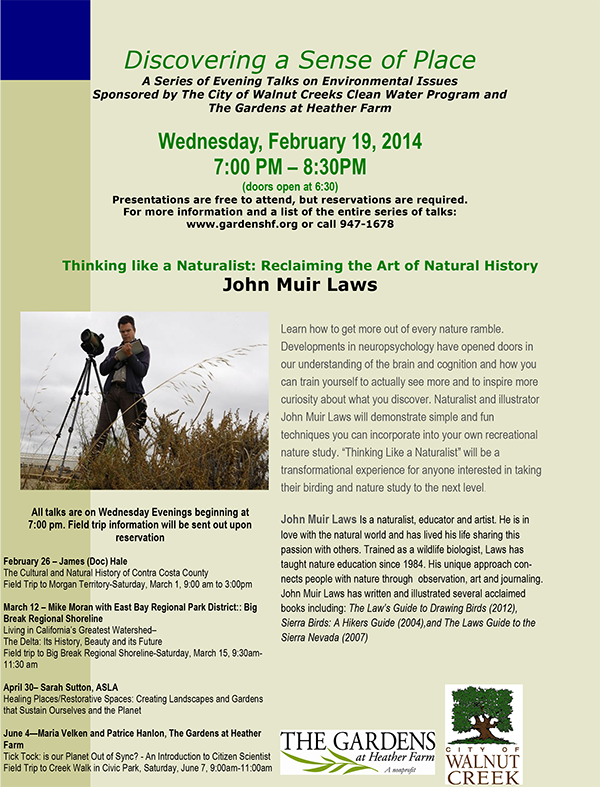 The first one, called “Thinking Like a Naturalist: Reclaiming the Art of Natural History” happens on Wednesday, February 19 from 7:00-8:30 PM at the Camellia Room at Heather Farms. Registration is required for all talks. You may register online, by sending an email to rentals@gardenshf.org or by calling (925) 947-1678. This entry was posted in Community Events, History, News & Events and tagged History, Native Americans, Wild Foods. Don’t miss Kim Curiel’s class this Saturday at the Garden. Join Kim Curiel, Burton Valley’s incredibly creative and entertaining teacher, as she takes us back in time. We’ll not only learn which native plants are edible, she’ll also teach us how to prepare and enjoy these plants that Native Americans and early settlers depended on. Bring your curiosity and appetite! This entry was posted in Community Events, Locavore and tagged Wild Foods. My favorite thing to forage is a green that kept the 49ers alive and healthy — not the football team, but the pioneers; Miner’s Lettuce. It’s a succulent green that has easily identifiable leaves (they’re round with a small cream colored flower in the center) and has a delightful crunch. The leaves make a first rate salad. This juicy plant grows in shady areas, usually near water and can be found in the cooler months of the year after it has rained a bit. Around November my mouth starts watering as I contemplate the dishes I’ll make with our local gold: chanterelle mushrooms. Sold in local stores and available at the finest restaurants, golden chanterelles grow in our shaded, live oak forests only after we’ve received four inches of rain. This tender delicacy grows November to March. Sorry, I’m not going to give you specific spots where I’ve found them. That’s one secret I plan to keep. But if you own a north sloped property with live oaks or know someone who does, go out and look under the duff to see if any orange/yellow mushrooms that have no gills, have emerged. 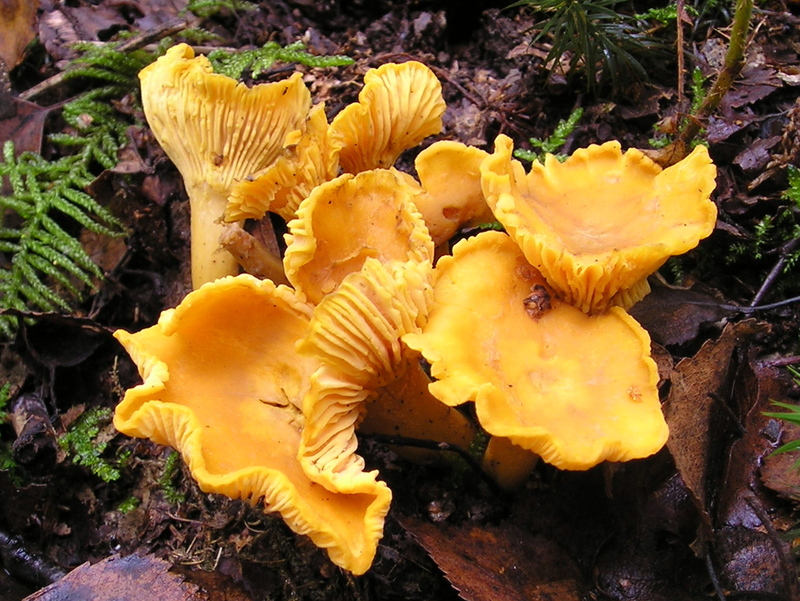 Chanterelles have false gills and no defined cap. Mushrooms need extra caution. Two mushrooms grow in our hills that are documented as the most toxic things on earth, the Death Cap and the Destroying Angel. These are both white or cream colored with gills and look nothing at all like a chantrelle. They can both melt your liver in less than 24 hours. To survive you must get a liver transplant. Every year someone who recently migrated here from Southeast Asia dies because these mushrooms look identical to safe mushrooms that grow in their homeland. Now where is that rain? Check out Kim’s other posts here. This entry was posted in Blog, Outdoor Learning Center and tagged Best Practices, Tips, Wild Foods. 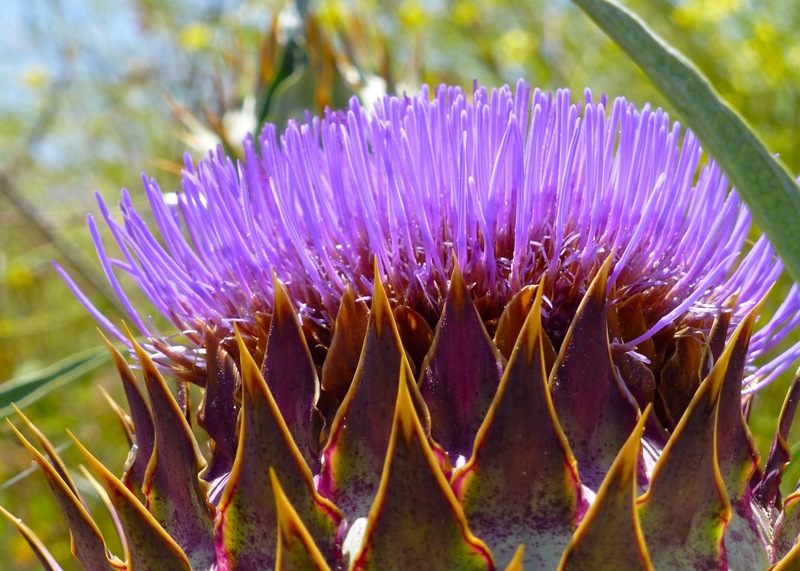 This entry was posted in Blog, Outdoor Learning Center and tagged California Natives, Tips, Wild Foods.